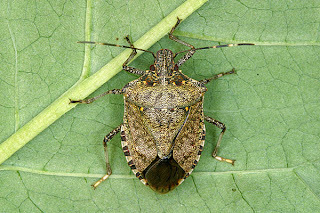 Halyomorpha halys, the brown marmorated stink bug, or simply the stink bug, is an insect in the family Pentatomidae, and it is native to China, Japan, Korea and Taiwan. 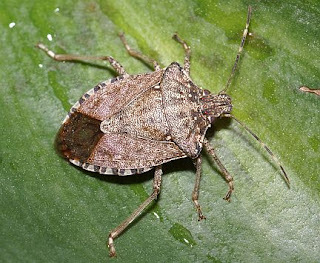 It was accidentally introduced into the United States, with the first specimen being collected in September 1998. The brown marmorated stink bug is considered to be an agricultural pest, and by 2010-11 has become a season-long pest in U.S. orchards. 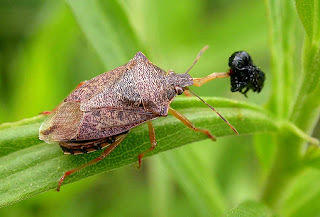 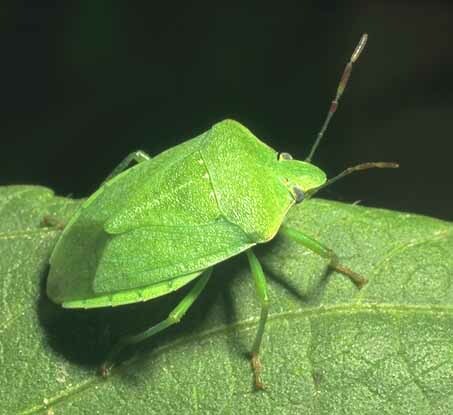 The adults are approximately 1.7 centimetres (0.67 in) long and about as wide, forming the "shield" shape characteristic of other stink bugs.